I’ve always wanted to learn about how to properly and beautifully put on makeup. Not that I am planning to pursue a career in professional makeup artistry but I just wanna look great in person and in photos especially now that selfies are trending, lol. I’ve taken a few classes actually but I feel that I need to learn more. There are plenty of “makeup schools” but you have to choose the best in your area if you want to take it to the next level, you know, be a real pro and certified. Like for example if you’re in Phoenix Arizona, nothing beats The Skin and Makeup Institute, a top beauty school there where the most complete programs for students are available to learn how to become professional makeup artists and esthetician. Search it on google using these keywords “beauty school Phoenix” and I’m sure you won’t have trouble finding it. 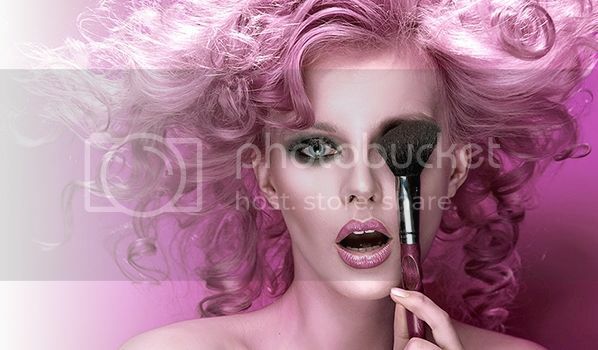 This school is a great resource if you really wish to become a pro, if you have plans of putting up your own salon, clinic or be a freelance makeup artist. I know that the pay for being a licensed makeup artist or beautician is great too, so if it’s in your area of interest and you think you can excel in that field, why not give it a try. Let’s look into what The Skin and Makeup Institute can do for you. The Institute was founded on commitment and passion. Our educators and staff understand the dedication it takes to become a competent professional. The Skin & Makeup Institute is committed to train qualified students the marketable tools necessary to obtain employment in the aesthetics industry. Our educators have a broad range of experience and training, bringing real world skills to the student. These skills prepare students for the many diverse positions available. We believe rigorous preparation emphasizing hands-on training rewards graduates with credentials that support access into the spa/resort, salon, medical or entertainment industry. A student needs to take more than 600 hours of training and education, pass the board exams in order to get a license. It may seem like a lot of hours to complete before you become a so-called licensed professional, but it’s all worth it and you’ll reap the rewards sooner or later. People tend to look for professionals when it comes to beautification rather than spend money of fly by nights. So, your license and training are your edge and with great customer service record, you’ll soon be popular. This is your ticket to eventually putting up your own clinic/salon. As I am already in my late 40s, I tend to depend on proper skin care application and I frequently go for facials, diamond peels, derma lift, face and neck rejuvenation etc. I don’t like to be handled by an incompetent aesthetician. It’s my face we’re talking about here and you mishandled any treatment, I’m gonna sue the one who serviced me as well as the clinic. That’s why it’s of utmost importance that every aesthetician is licensed because it means they perfectly know what they are doing. This goes the same with makeup artists, they must know which makeup suit their clients, make them more beautiful, apply what they’ve learned in school, which shades/colours are perfect for daytime and night time. A lot of things need to be learned and you won’t learn it by enrolling in fly by night schools, or just by observations. You can get in big trouble if you don’t know the proper procedures. Though, there are a few makeup artists born with the gift but then, I’m pretty sure that they too, went to school to learn more about the craft. Why don’t you try this beauty school Phoenix. It won’t be easy at first especially if there are financial constraints. But then, think of your future and what this can do for your career. I can’t stress enough how important proper education is and if you really want to succeed, you must find ways so you can take this to the next level.